Mark Anthony Pelini. How’d you get the name “Bo”? I got Bo because I was the youngest of eight kids. When I was young, there was a running back for the Browns named Bo Scott. My brothers used to chase me around the front yard when I was carrying the football, and they would call me Bo Scott. That’s how I got it, and it stuck. My wife and I were looking for something that made sense for our family. This being the place where we grew up, it made sense. Taking everything into account we felt it was the right place for our family. A year from now, if we’re sitting here celebrating what a great year it’s been for you as head coach of YSU, what did you achieve? That all of our student-athletes are doing well academically and that we’ve just come off a National Championship, because that’s what our standard is here. What is the one thing you want your colleagues here on campus to know about you? Probably that I am much different than the way I appear sometimes on TV. I’m intense when we compete. At the end of the day, my philosophy in coaching is that we’re going to help develop these players into men. That’s what really drives all of our decisions. How are they going to be successful, not only while here at YSU, but more importantly for the next 40 years when they leave here and are we doing the right things to enable that to happen in our program. I read a lot. I like to golf. I spend time with my family. We don’t do a lot. Usually I am hanging out at home with my wife and kids. My hero was my dad, who’s now passed away. What he taught me, the opportunities that came my way because of what he and my mom did for us. As far as teaching us what’s important and how to get there, the type of sacrifice and hard work and work ethic that go into things. 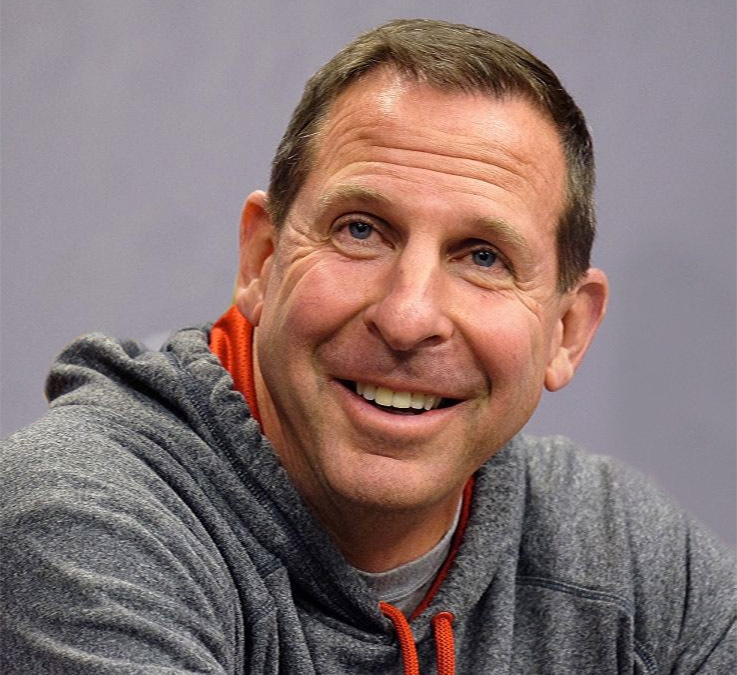 Let’s say Hollywood is about to make the Bo Pelini movie. Who plays you? Why? That’s a good question. I don’t know who would play Bo Pelini. I’m not as into Hollywood as most people. I do go to a lot of movies, but I don’t know half their names. Do you believe in Big Foot? Why or why not? I don’t believe in Big Foot. I just find it hard to believe that there is something out there like that with people coming across it. There’d be some kind of definitive sighting or picture if it were really out there. New Year’s resolution for 2015? I’ve never really done a resolution. This has been a whirlwind this last month, so hopefully things will settle down for us. That would be a good thing to happen here in 2015.